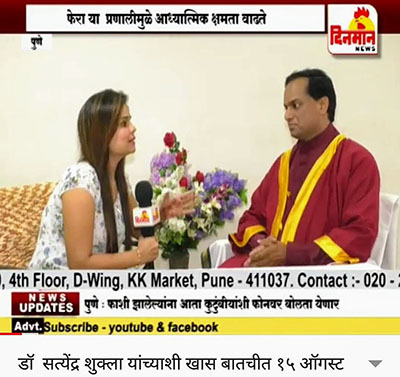 Kundalini Yoga is a tantric based Sadhna. It is a direct path that teaches techniques to experience subtle spiritual existence at the physical level. The mode of expression is called Kundalini Awakening which means men and women focus on a serpent energy that is located at the base of the spine coiled 3 and1/2 times at Mooldhara, the root chakra at the Sacrum on the spinal column. Kundalini yoga combines breathing pranayama, yoga postures, asanas, body locks bhandas, chanting mantras, hand & finger gestures, mudras and meditation, and also brings about the tapping of all the energy sources. Compared to other forms of yoga, Kundalini yoga gives results up to 16 times faster. Through different forms of techniques such as HathaYogan, (asana and pranayama), Raja Yoga (control of mind and thoughts), Bhakti Yoga (prem, surrender), Laya Yoga (knowing ones true nature) or Mantra Yoga (resonance of sound), the Sadhak or practitioner aims to awaken Kundalini, the serpent energy lying dormant at the base of the spine and make Her unite with her Lord, Sadasiva, in the Sahasrara Chakra, the thousand petal lotus center. Kundalini Yoga is the Yoga of natural healing at the physical, emotional and spiritual levels via heightened awareness that consciously connects with a higher nature of Self or divinity .That in turn strengthens the body-mind connection at the physical level, the emotional at the psyche level and the spiritual beyond the infinite level of fearlessness reinforced by the pure consciousness. 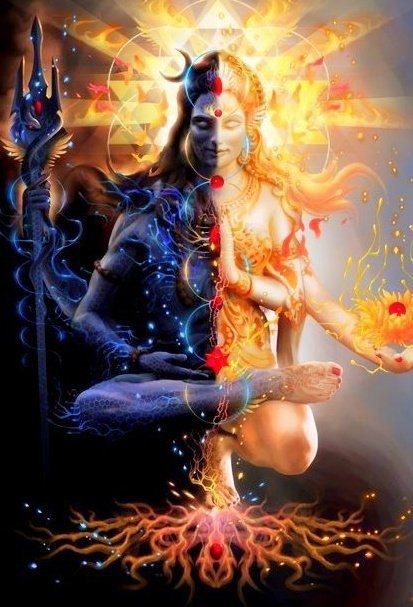 It has been observed that when Kundalini is consciously or unconsciously aroused and ascends within the spinal column in Sushuman nadi the brain transforms its power into vital hormones needed by the body and the seven chakra centers undergo a tremendous organic alteration. One observes psyche powers undergoing a transformation of great intelligence and change like clairvoyance, reading thoughts, connecting to angles or guides etc along with a biological change. Very obvious are the changes noticeable by sitting postures in Kundalini Yoga. The autonomic nervous system is in equilibrium, pulse rate reduces, blood pressure decreases, cardiovascular efficiency increases, lungs proficiency increases, gastrointestinal function improve, endocrine function normalizes, excretory functions improve, musculoskeletal flexibility and joint suppleness in motion increase and so on so forth. Decrease in glucose, sodium, cholesterol, triglycerides, LDL cholesterol, increase in HDL cholesterol, white blood cell count decreases; hematocrit increases, hemoglobin increases, lymphocyte count increases, thyroxin increases, and serum protein increase. The evolutionary changes observed according to tradition are by and large eight major siddhis and some minor siddhis. 2. Mahima: he becomes as bid as he likes. Fill up the universe, or assume a Virat Swarupa. 3. Laghima: can make the body as light as possible and travel the skies. 5. Prapti: he acquires the power of extending and touching the sun and moon or the skies. Predicting future events, clairvoyance, clairaudience, telepathy, thought-reading, understand different languages of animals and birds. Know, unknown languages and cure all illnesses. 6. Prakamya: the yogi can dive and stay under water as long as possible. Trilnga swamiji of Benaras used to live six months under Ganga and six months on land. He could become invisible, become youthful or enter in another body (parakaya), living or dead. Shankara entered into the body of Raja Amaruka of Benaras. Tirumular entered the body of a shepherd and history tells us Raja Vikramadity did this too. 7. Vashitvam: taming wild animals and bringing them under ones control. Also bring men, woman and elements under subjection. 8. Ishivam: Attaining divine power the yogi becomes the Lord of the universe. •	Freedom from hunger and thirst. •	Freedom from the effects of heat and cold. •	Parakaya Pravesha (kaya kalpa): Enter another living body, can animate a dead body or enter into it by transferring his soul. •	Devanam Saha Kreeda and Darshana: Playing with the Gods after seeing them. •	Yogi gets knowledge of his past life. •	Mastery over (Bhuta Jaya) of elements and (Prana Jaya) Prana. A yogi generates psychic heat in the body through the practice of Bhastrika Pranayama. He can bear extremes of climates without discomfort. Yogi’s body covered by cold sheet can be dried by the body’s heat. A perfect yogi cremates his body in the end by the Yogi heat generated by his Kundalini power.